Whether it’s cooling or heating systems, custom designed equipment is what sets Dykier Engineering apart from the competition. 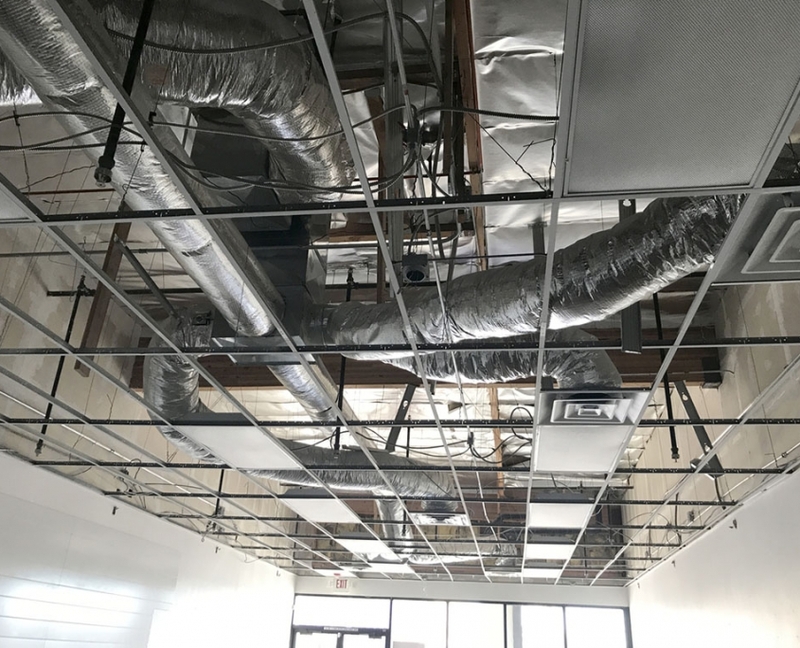 We engineer, design, and construct air conditioning and heating systems for a wide range of commercial clients – from office building comfort heating/cooling, to process cooling for manufacturing and laboratories. In some cases, these methods are designed and implemented exclusively by Dykier Engineering. Additionally, we offer savings with specially designed evaporative cooling towers, and advanced polypropylene cell (PPX) systems that incorporate the cooling tower and the heat exchanger in one unit. These systems use as little as 10 percent of the energy used by traditional compression air conditioning, and can be further enhanced with features such as dehumidification, air filtration, UV sterilization, room pressurization and data logging. Finally, we offer indirect cooling by evaporation (aka indirect evaporation cooling or IDEC), which is enhanced by our proprietary Miser-Cool Technology. If your facility is a laboratory or other high infiltration risk, please read on to learn more about this unique service. For high infiltration (air change sensitive) facilities, we can reduce cooling energy costs with indirect cooling by evaporation, using our proprietary Miser-Cool technology. When implemented, Miser-Cool can reduce the amount of energy needed for cooling by up to 90%. Normally, it cools as well or better than conventional air conditioning while only using 10% of the energy. Engineering is truly the difference between a marginally working system, and one that performs incredibly for years to come. To learn more about custom equipment that can reduce your facility’s utility costs, please call Dykier Engineering to schedule a complimentary evaluation appointment.